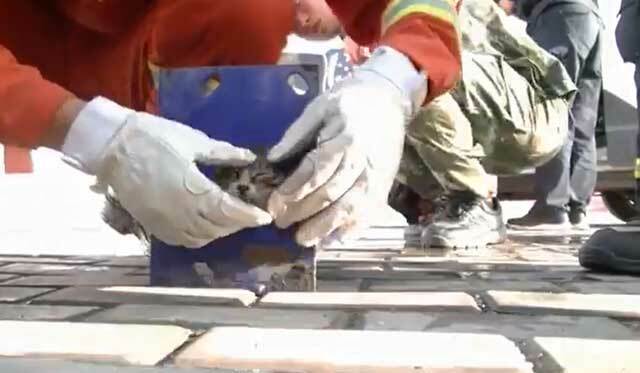 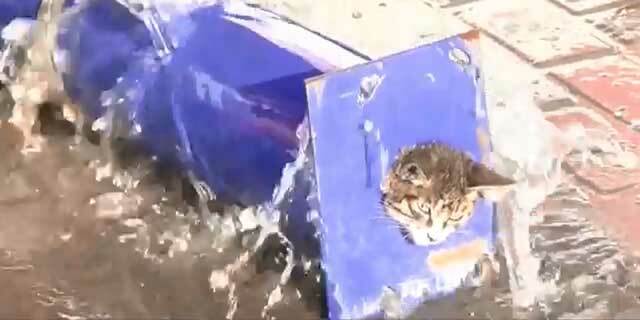 Firefighters recently rescued a kitten in Shizuishan City, northwest China. The kitten went into a pipe and could not get out, with its head stuck by the narrow mouth. 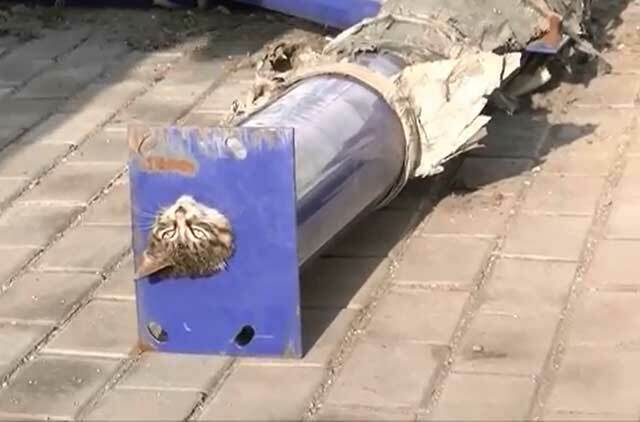 Firefighters first tried to push its body out, but failed because the pipe was much too narrow. 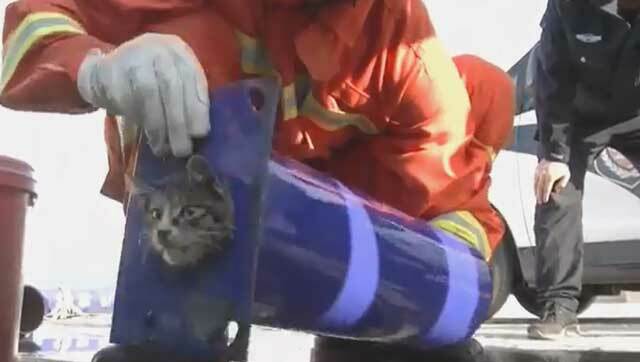 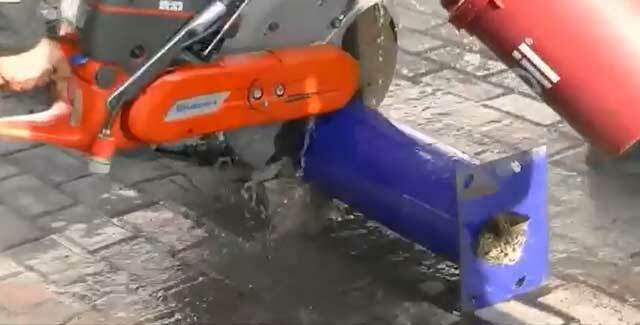 Then they cut out a section of the pipe using an electric saw and finally succeeded in freeing the kitten.